With spring and summer right around the corner, we want to ensure our playgrounds are safe for all our residents. Some of our playgrounds are currently undergoing repairs, have upcoming repairs scheduled or will be removed and turned back over to green space. Please click on your neighborhood below to find an update on your playground. As always, to report playground repairs, please call 877-509-2424. Where can I find the rules and regulations for my community? The Resident Guide outlines the community guidelines for AMCC Camp Lejeune – New River. ***Note: Your Resident Guide refers to renter's insurance offering, which has been discontinued as of January 1, 2015. How do I contact my Community Office? What are the pool hours and locations? We are excited to offer two convenient pool locations for resident enjoyment at the Bicentennial Community Center: 6498 Bicentennial Avenue, and Knox Community Center: 7100 Camp Knox Road. Important Reminder: children who are not toilet-trained are required to wear an approved swim diaper. Anyone who has had known illness symptoms should not enter the pool during and/or up to two weeks post symptoms (per Model Aquatic Health Code). Monday- Closed for routine maintenance. Note: Pool passes are required to enter AMCC pools. Pool passes are available for pick up at any AMCC community center. Yes, we gladly welcome four-legged family members at AMCC Camp Lejeune – New River. For more information specifically regarding breed restrictions, please review the MCO on Domestic Animal Control or contact MCB Camp Lejeune Animal Control at (910) 451-5143. How do I submit requests to alter my home? AMCC Camp Lejeune does allow limited modifications within the homes. For information on the approved colors for paint modifications, review our paint request form for alterations. If you’re interested in installing a satellite dish or installing a fence, please review the dig permit form and return the necessary paperwork to your Community Office. For other modification requests, please contact your Community Office. When can I expect the trash and recycling to be picked up? Bulk Pick-Up: What is not picked up by refuse & recycling contractor (i.e., oils, pallets, tires, etc.) will be picked up by AMCC Maintenance*. We request that residents call community center to request in advance to ensure quality service. Green Waste: These items (including plants, pine straw, twigs, etc.) will be picked up by landscape contractor. Please place a courtesy call to your community center to let them know you have a bulk pick-up request. Along with your trash and recycling, kindly, place your bulk pick-up items in the approved location for your community on your designated trash and recycling day. If you have large items to dispose of, we suggest attempting to donate anything gently used to a local thrift store. If items are broken or damaged they can be placed out on your normal trash day for bulk pick-up. Bulk pick-up includes items such as furniture or other large items. Due to environmental concerns, bulk pick-up will not accept appliances or other mechanical assemblies that contain oils or other fluids. The following items will not be accepted in trash/bulk pick-up: tires, pallets, appliances, and hazardous materials. If you have hazardous material that needs to be disposed of, please click here to read the Marine Corps Installations East Household Hazardous Material Collection Program. Call (910) 451-1482 for more information. You can recycle glass, metal, plastic containers #1 - #7, rigid plastic containers, and paper. You should not recycle motor oils, plastic bags, wax cardboard, pizza boxes, oyster shells, stryofoam, plastic films and wraps, frozen food or deli containers, fluorescent tubes, glass cookware, ceramics porcelain, mirrors or windows, batteries or electronics, sharp objects or needles. When is the grass cut? PREPARE YOUR YARD: Residents are responsible for removing all objects in their yard including pets and pet waste, toys, hoses, any items that could get in the way of the lawn mowers, and all yard debris including leaves, branches and rocks. It those things are not removed, yard maintenance personnel cannot be held responsible for damage their mowers may cause to the resident’s items, or possibly, the resident’s yard will not be mowed. Residents will be responsible for lawn maintenance for the areas of their home that are fenced. Grass outside the fence line will be maintained by the landscaping contractor. For more information about the lawn maintenance schedule, please contact your Community Manager. Bi-weekly mowing begins around March 6th. Note, bi-weekly mowing will start in the communities with the largest need first, and will take the full two weeks to mow all communities. Weekly mowing begins around May 1st and continues through around September 15th. *Grass will be cut a minimum of 28 times annually and may be more frequent depending on seasonal or climate conditions. Adjustments to the schedule will be made as needed to account for growing seasons and raining seasons. The schedule listed above does not guarantee a weekly mow schedule, but simply suggests the days of the week the landscaping contractor may mow in that neighborhood. Green waste includes grass clippings, leaves, and limbs. The landscaping contractor will collect green waste that is placed curbside or on the service roads by the resident on a weekly or bi-weekly schedule; depending on the seasonal mowing and clean-up schedule. Residents are encouraged to recycle green waste. - Green waste should be neatly bundled and tied together in a neat package not to exceed 4 feet in length by 2 feet in width. - Loose green waste should be placed in a plastic bag or cardboard box. - Green waste collected at all locations will be disposed of in accordance with state and local laws.. 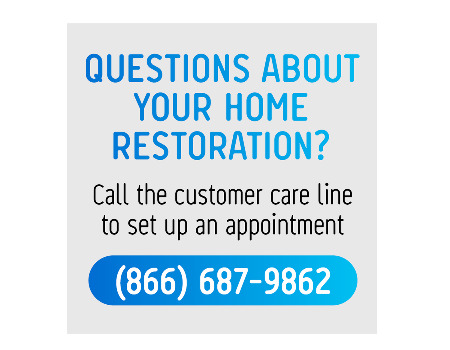 Emergency maintenance requests should only be made by calling (877)509-2424. Please kindly do not email or post those requests online. We do not want your urgent request to live on a voicemail or in an email, which might not be seen until the next business day. If you have a Permission to Enter form on file, you can enter an online Maintenance Request through the Resident website portal. Are there any special safety features or tips about my home or community I should know about? We have put together a short video highlighting fire, child, water and neighborhood safety. Although it's not required, we highly encourage residents to have personal renter's insurance. Effective January 1, 2015, in accordance with the 2015 National Defense Authorization Act (NDAA), basic renter's insurance is no longer a zero-out-of-pocket benefit. All residents signing a new lease after April 15, 2015 will be responsible for acquiring and paying for their own rental insurance policy. We strongly encourage all residents to acquire renter's insurance. Am I allowed to run a business from my home? Permission to conduct a home enterprise such as child care operated by a DoN-approved licensed child care provider, tailoring, tax preparation, etc. in Family Housing should be requested in writing to the AMCC Community Management Office. All in-home businesses must be properly licensed by all local, state, and federal laws; in addition to installation requirements. Businesses which adversely affect the tranquility or safety of the military community will not be allowed. Requests for modifications to the home for an in-home business must be submitted in writing and approved by the Community Manager; any modifications will be at the Resident’s expense. Businesses will not duplicate the sale of merchandise and services readily available through the installations’ officially sanctioned commerce. Door-to-door sales, surveys, and/or solicitations of any sort are not permitted. Likewise, commercial advertising or flyers of any kind may not be posted or distributed. It is a Federal offense to attach anything to mailboxes. Are guests allowed to stay with me? Visitation period for guests is limited to fifteen (15) consecutive days. Residents must notify the AMCC Community Manager, in writing, within 72 hours of a visitor's arrival if the visitor will be staying more than 3 consecutive days. Residents are responsible for complying with any applicable Marine Corps and/or installation requirements concerning guests. Special situations, such as temporary custody, should be referred to the AMCC Community Management and the MHO offices and will be dealt with on an individual basis. AMCC reserves the right to control the entry into the community by Resident's guests, agents, licensees or invitees, furniture movers, delivery persons, solicitors, and/or salespeople and may prohibit from the home or community any guests or invitees who, in AMCC’s reasonable judgment, have been disturbing the peace, disturbing other Residents or violating Community Guidelines and Policies. As a custodian of the Leased property, the Resident retains responsibility for the guests residing at their home. I’m going to be out of town for a while. Is there anyone who can keep an eye on my house? Fill out an I’ll Be Back form, and turn it into the Community Center Office. Please provide an emergency contact of someone who will be checking on the home in your absence. What is the process to escalate a concern related to my home or community? Atlantic Marine Corps Communities takes resident concerns very seriously and desires to address and resolve any issues in a timely manner to the satisfaction of all parties involved. Click here to view a copy of our dispute resolution process as well as key points to contact available to assist you with your concerns. I’m moving out, what now? We understand that moving can be a very stressful time. Take a look at some of our tips below to help eliminate the headaches that often come with moving. A Notice to Vacate form is written notice provided to the Community Center Office by the Service Member or Spouse (authorized Power of Attorney required) informing us of your intent to vacate your home. A minimum of 30-days’ notice is required prior to vacating. This is per your Lease Agreement and the Soldiers Civil Relief Act. Contact the Community Center Office immediately and we can review your circumstances. When placing your Notice to Vacate at the Community Center Office you will receive a Move-Out Guide brochure that outlines move-out expectations and the process. In addition you will be scheduled for a Move-Out Information Session. To ensure that DMO can meet your family’s departure timeline be sure to schedule your move as soon as you have orders. These sessions are held at time of submission to notice to vacate. Self-Clean: A resident may choose to clean their home to the expectations described in the Move-Out Guidelines. This is a very doable option for those who have maintained their home during residency. All final inspections are scheduled Monday through Friday. All keys and garage remotes (if applicable) that were issued are collected. Resident is provided a detailed list of charges (if applicable), prorated BAH amount and amount of refund (if applicable). Please note: If applicable, refunds are issued after the BAH allotment is received. Reminder, the BAH allotment is collected at the end of the month for that month. The refund check is mailed to the forwarding address that you provide. Refund checks typically arrive within 14-business days after the BAH allotment is received. Resident Energy Conservation Program (RECP) - How Does it Work? The Office of the Secretary of Defense (OSD) set forth the policy for the payment of utilities in Public Private Venture (PPV) housing to encourage energy efficiency in privatized housing units. The Resident Energy Conservation Program (RECP) represents the Navy's next step in establishing an energy conservation program in PPV housing consistent with the OSD policy. The RECP is designed to set reasonable utility usage targets for normal utility consumption. Homes are grouped into profiles with similar or same floor plan types and sizes. The utility usage target is established on a monthly average utility allowance for each home based on a five-year rolling average of each specific month. Each month families will receive an actual bill and accrue credit for rebates if they use less than the average utility allowance. If a family exceeds the 10% buffer they are responsible for payment. It is important to note that payment due is only for the amount over the 10% buffer, not for the entire amount consumed. Note: An allowance for "normal" utilities (electricity and natural gas) use is part of the BAH. This program was designed by the Navy to encourage residents to achieve normal usage and to reward them for conservation beyond normal expectations. If you conserve and use utilities wisely within a normal range, families should have no out-of-pocket utility expense, and may even qualify for a rebate. Energy Conservation Tips to help lower your bill. Complete a Resident Home Energy Audit Checklist. HVAC System Tips and how to make it work best for your home. Enroll in the Deployment Support Program. How do I join the Resident Advisory Panel Committee? Interested in joining the RAP Committee for AMCC Camp Lejeune-New River? Click here to download and fill out the form, and return to marketing@atlanticmcc.com. Our team is committed to providing you with great customer service and community programs. Feedback you provide through Insite™ surveys help us make improvements that are important to you. Please take a few moments to provide us with feedback about services received from our leasing, maintenance and community teams. We also encourage you to share your ideas and suggestions to improve services and enhance community activities and programs. Please follow the appropriate links referencing the type of service you’ve most recently experienced. You’re looking for a home, we would love to hear how we can help. Getting settled in after you've just moved can be stressful. Tell us about your experience. Since everything will eventually need a little maintenance or a fix, we want to make sure that everything meets your satisfaction. Hate to see you leave us, but would love to hear about your experience. Our promise to you is that the service you receive each day is consistent and meets your expectations every time. Give us your Insite™ when one of our team members meets or exceeds your expectations and let us know when we don’t. Your Insite™ allows us to improve services and to recognize our staff for providing great service.